Friends are really important in your life. It would be nice to have a special bonding time with your friends on friendship day in India. If you have been away from your closest friends for a while, then you should think about throwing a nice friendship party in India. There are some amazing online invitation tools available online that you can use for inviting your friends to the party. You have to plan well in advance to make your friendship party a success. Some of the major things that you will have to plan are as follows. The most important thing about the party is to have some nice time with your best friends. One nice idea that you could plan for the friendship day party would be to create a video with all your old group pics and add some music to it as well. Make it nostalgic with pictures of your old outings and fun time. After you have a nice time together at some place, you could also arrange to go for a nice movie together. This would be a lot of fun and bring back a lot of nice memories. If you are planning the party just for a few of your friends, then you could make it a sleepover party, so that you could carry the celebrations late into night. It is a lovely idea to organize a nice picnic to some place with your friends for the friendship day celebrations. Plan the trip such that it is easily accessible. The basic idea is to have some nice fun time with everyone and you don’t want the journey to be very taxing. Yet another nice idea would be to have a dinner party organized for your friends. You could just select a nice restaurant hall for the party or just have it at your house and order the food from a good caterer. 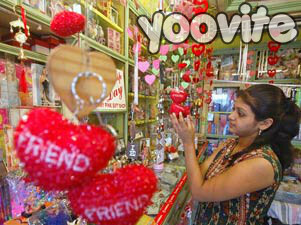 Friendship bands and sometimes even gifts and cards are exchanged around for these friendship parties in India. This entry was posted in Free Online Invitation Tools, Friendship Day Celebrations in India.